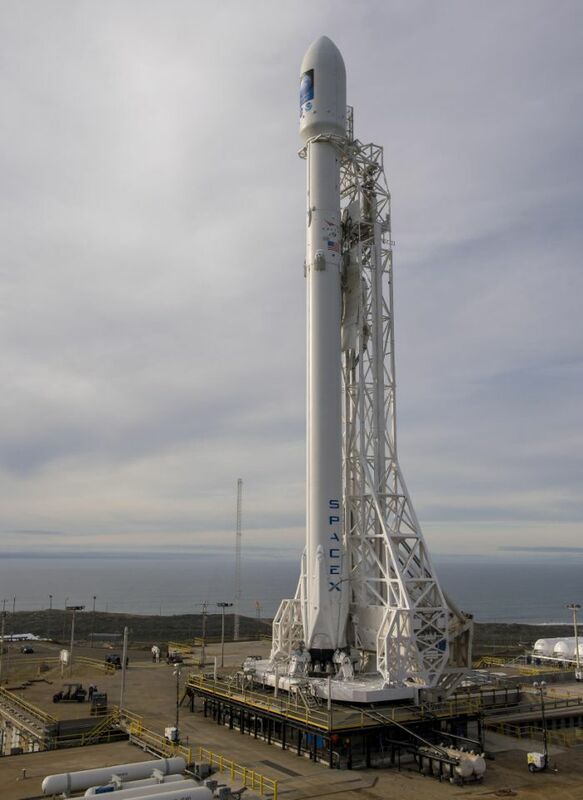 CAPE CANAVERAL, Fla. (Reuters) – A SpaceX Falcon 9 rocket is poised to launch from California on Sunday to put a key climate-monitoring satellite into orbit, then turn around and attempt to land on a platform in the ocean. Liftoff from Vandenberg Air Force Base is scheduled for 10:42 a.m. PST (1842 GMT). After sending the U.S.- and European-owned Jason-3 satellite on its way to orbit, the rocket’s first stage will separate, turn around and attempt to touch down on a platform floating in the Pacific Ocean, said officials with privately-held SpaceX, also known as Space Exploration Technologies. After years of testing, including two failed ocean landing attempts, SpaceX last month nailed a touchdown on land in Florida, a key step in founder Elon Musk’s quest to develop a cheap, reusable rocket. SpaceX does not yet have federal clearance to land rockets at Vandenberg, prompting Sunday’s ocean try, company vice president Hans Koenigsmann told reporters on Friday. Being able to land at sea also gives the company flexibility to recover rockets used on more demanding missions, such as launching heavy satellites, when boosters do not have enough fuel left to reach land. The 1,200-pound (550 kg) Jason-3 satellite is the fourth in a series of ocean-monitoring satellites, which are now taking center stage in monitoring Earth’s climate. NOAA is one of five agencies partnering on the $180 million, five-year Jason-3 program. Once in position 830 miles (1,336 km) above Earth, Jason-3 will bounce radio waves off the ocean and time how long it takes the reflected signals to return. Scientists can use the information to figure out ocean heights to within 0.2 inches (0.5 cm), said Josh Willis, with NASA’s Jet Propulsion Laboratory in Pasadena, California. “We can really see the rise of the global oceans. This is one of the most important yardsticks we have for human-caused climate change,” Willis said, adding that heat, plus runoff water from melting ice sheets, causes ocean levels to climb. Jason-3 can also chart ocean currents, which impact weather phenomenon such as this year’s powerful El Nino system, monitor tsunamis and track oil spills.